Baby teeth, otherwise known as “primary teeth”, are important to the health and wellbeing of each child, and how responsible caregivers handle their maintenance can have a long-lasting impact on the current and future health of each child. A full set of primary teeth includes twenty teeth, which are present under the gums, actually in the jaw, of each child at birth. Usually, the first of these begin to erupt through the gum and appear somewhere between the age of six months and one year, and are generally fully-in around the time a child is three years old. How important is it to keep baby teeth, and why is it important to keep them as long as possible? It is critically important for children to keep their baby teeth for as long as possible. The baby teeth play a number of roles in the development of a child, including enabling a child to speak clearly and chew naturally, as well as to smile; however, they also help to guide permanent teeth, as they develop, into position in order to replace the baby teeth properly. Baby teeth help to keep a place open, under the gumline, for permanent teeth to grow, and also help to form the paths in the gums that developing permanent teeth will follow through the gums as they erupt later on. 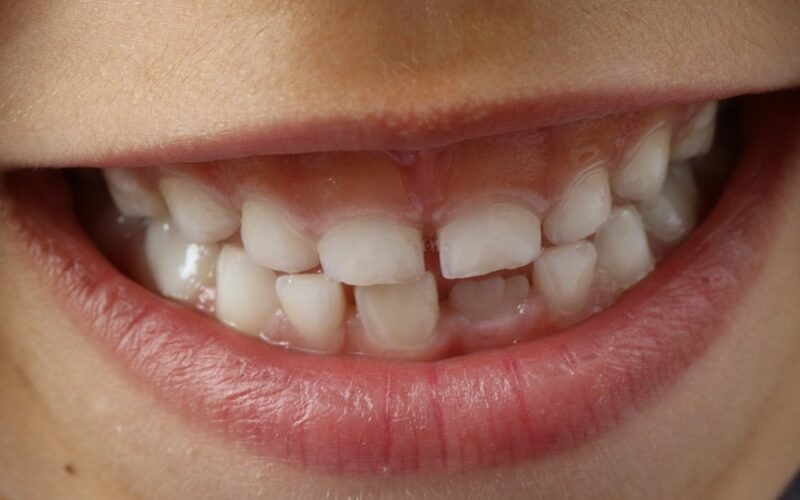 If baby teeth are lost or removed too early, the holes or spaces that remain in the gums can allow the permanent teeth, still developing below the gumline, to drift, which can cause the permanent teeth to come in crooked or crowded, leading to further long-term dental issues that can affect their late childhood and adulthood. For this reason, we recommend that baby teeth should be kept in for as long as possible, or until the permanent tooth replacing it is fully ready to come in. Furthermore, the baby teeth should be kept healthy at all times to ensure the proper and healthy transition from “primary teeth” to permanent teeth. How can sick baby teeth affect the rest of the mouth and body? Just as with adult teeth, baby teeth are also susceptible to infection and decay if they are not properly taken care of. In fact, baby teeth are particularly vulnerable to decay, and so it is especially important to prevent problems in baby teeth. Not only are problems in baby teeth, like infection and decay, painful to children just as they are painful to adults, but they can have long-term effects on the health of the whole mouth, and even the rest of the body. In fact, you may have read that heart health can be tied to oral health. While this has not been conclusively shown, and more studies are necessary to understand the apparent connections, there is enough of a connection that poor health in the teeth or gums does appear to increase the chances of contracting an infection in the cardiovascular system. A recent article on endocarditis concedes that poor health in the mouth is tied to a significantly increased chance of getting an infection of the heart, among other factors. What can be done to reduce the risk of pediatric dental problems? Since it is often much easier to prevent problems than to correct them, taking your child to a pediatric dentist is an investment in your child’s future. Starting off infants with pediatric dental care at an appropriate age will help to protect their teeth, and not just their baby teeth, for many years into the future. At Beautiful Smiles, we recommend that children come in for their first dental appointment somewhere between eighteen months and two years of age, so that the child has established a pattern of pediatric dental care by the age of three years. Our kind and caring staff can also show you how to care for baby teeth in between dental appointments.